Joost Luiten carded the first ever albatross in tournament play on Real Club Valderrama’s 11th hole to move into the halfway lead at the Andalucia Valderrama Masters hosted by the Sergio Garcia Foundation. The Dutchman’s incredible feat – the fifth albatross on the European Tour this year and just the third in tournament play at this venue – was almost made even more remarkable when he came to within inches of finding the cup for a hole-in-one on the following hole. In the end, Luiten signed for a one under par 70 to move to a six under total, moving a shot clear of Scott Jamieson, Robert Rock and the tournament host Garcia. The Masters Champion shared the first round lead with Luiten but could not follow up his opening 66 with an under par second round, carding a level par 71 to give the home crowds plenty to shout about at the weekend. Scotsman Jamieson had three birdies in the space of four holes on the front nine to thank for his impressive three under 68 in breezy conditions on the notoriously challenging course, while Rock boosted his hopes of a third European Tour title with a one under 70. 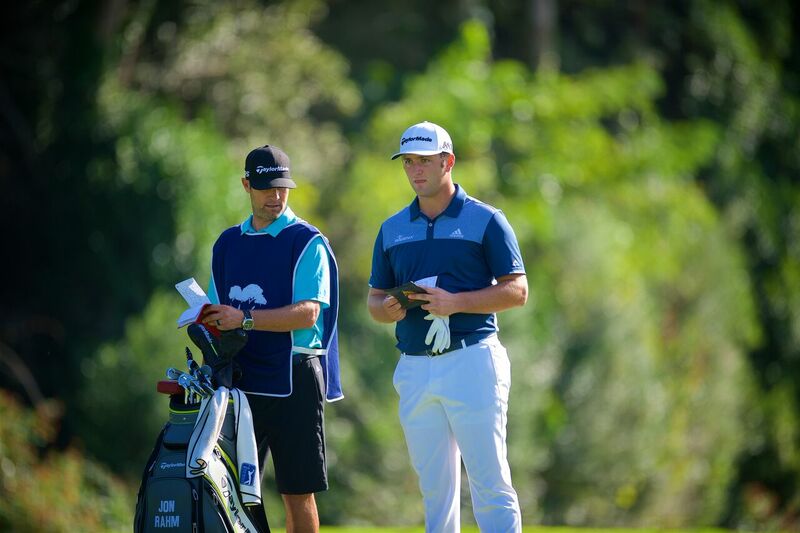 “On 11 I had a good drive at 209 meters to the flag, sitting up nicely on the semi rough. Wind was helping a bit, perfect number for a 4 iron. I hit it good and it pitched a couple of yards on the green and then released, and I heard the crowd go crazy. I couldn’t see it from down there, but we knew it was in. An albatross is always special, and I am pleased to have the first albatross on that hole. When you are hot you want to keep it going, so I hit a 5 iron straight at the pin on the next hole, and it pitched like 3 feet short and I rolled that in for a birdie, so two twos. That’s what you want; when you are in the zone like that you want to go at flags. I saved a couple of good pars at 13 and 14; unfortunately I missed on 15 and was a bit unlucky on 17 with the drive ending in a plugged lie in the bunker, but I got lucky today a couple of times so you when you get unlucky you can accept it easier, I guess. That’s Valderrama, you can make birdies but you can make bogeys just as easy. I like this place, I’ve been second here, so hopefully we can have a good weekend and we can win and open the champagne Sunday night. But there’s still a lot of golf to be played. I think the course will play a bit shorter off the tee but a bit harder to keep it on the fairways. It’s still fairly soft, so you can be aggressive into the pins, but you must keep it on the fairway. I think 10 under would be a good number”. “I think I could have shot 2 or 3 under, but it was tough out there this afternoon; a little breezy, the fairways were firming up, some of the pins were difficult to get to. Because of all the rain the greens in the afternoon got a bit bumpy and I struggled with the speed on some of the putts. At the end of the day, even par is not a bad round here with a bit wind, and we are still there. Two up-and-downs on 17 and 18 to finish with a better feeling, and hopefully we can keep going in that direction tomorrow. 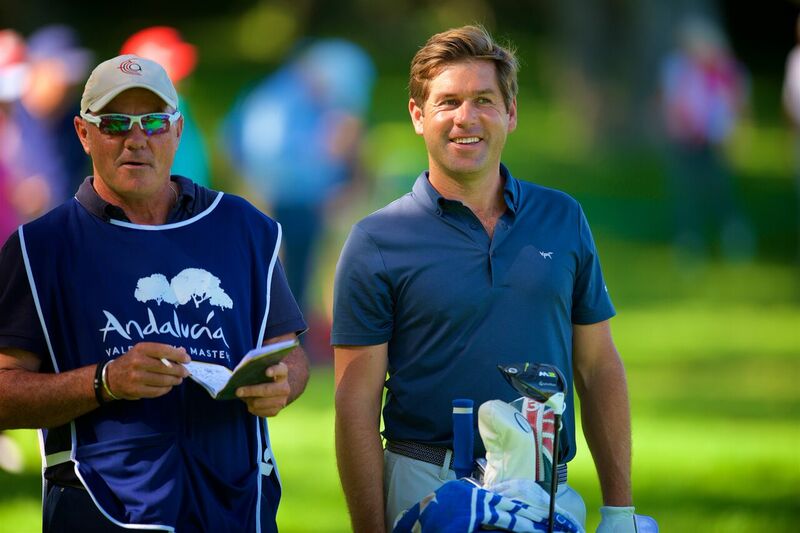 “I could have seen someone finishing 7 or 8 under today, but Valderrama is Valderrama, there’s always some breeze, the greens are very small, the pins are tucked in, and even though the greens are soft, you still have to hit a lot of good shots, and if you don’t, you have a fight. It happened to both Andrew and Shane on the last; they both played beautifully all day and finished with doubles. It is tricky, and that’s why we love this course. The winning score is difficult to say. I think the course is going to get firmer and tougher as the week goes on; anything between where we are and 8 or 9 under could have a chance, but it depends very much on the weather conditions. As for my wrist, I felt a couple of pinches on 13 and 14, so I will ice it and put the anti-inflammation pads, but unfortunately, I guess that it gets worse just by playing”. «It hurts. It was such a special week I wanted to play well, and it’s a shame that one of my three bad weeks this year had to be this one. I believe the problem has been mainly mental – too much pressure on myself, too big expectations. 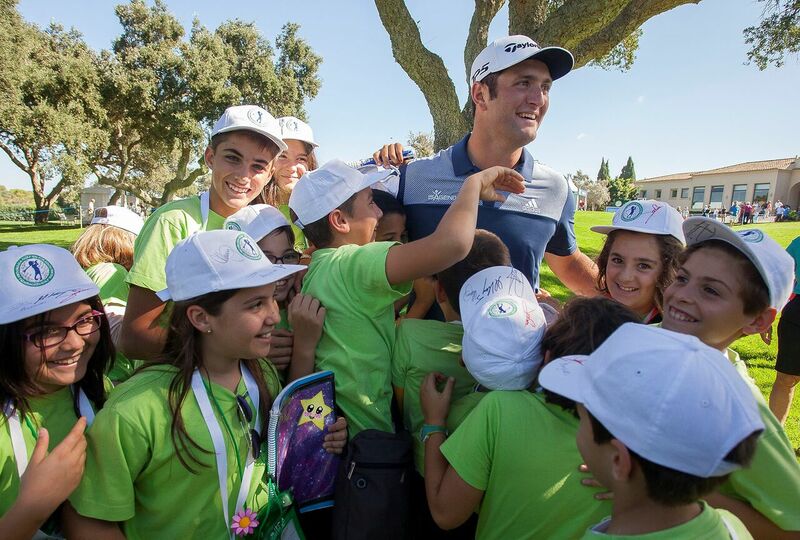 I was playing well coming into this week and I was very much looking forward to playing for the Spanish public. I tried too hard on every shot and didn’t allow my swing to flow. Once I got to +3 or +4 I kind of relaxed and started hitting good shots both days. I put too much responsibility on myself to give a good show instead of playing within myself; but the public has been great to me and I felt their support all along the way. Valderrama has not been tougher for me than for the rest. The only thing I can say is that I belive the European Tour’s decision of no preferred lies on Friday was unfair, because having had preferred lies on Thursday, the course was still wet for the morning groups. I actually got two mud clots on 7 and 17 that affected my shots badly. But those were only two shots, the rest were my own doing.